Perfect Jorge. Very good job. Thank you very much Norbert. HI Jorge my name is chris an im an exmemember from ten yrs ago an new again to this forum an I missed most of when you was doin your build. 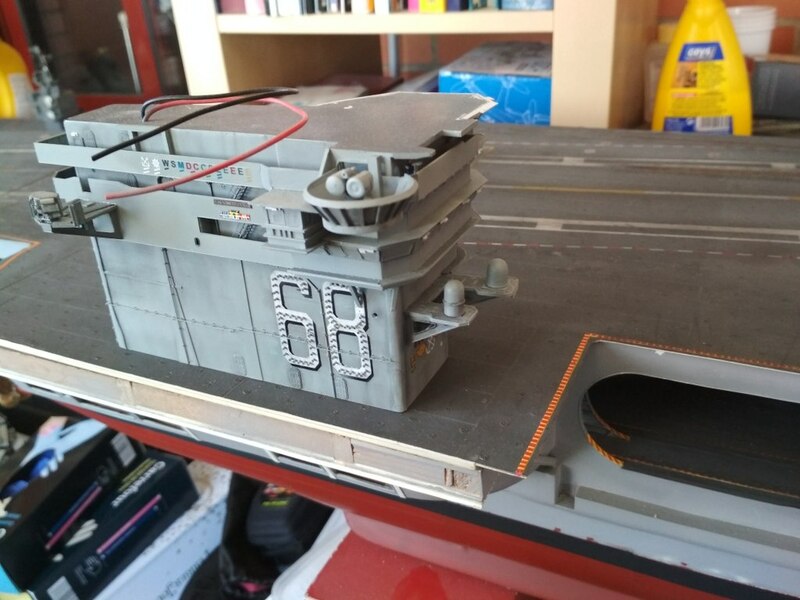 I have built a R/C NIMITZ in 1/144 scale what sailed great. 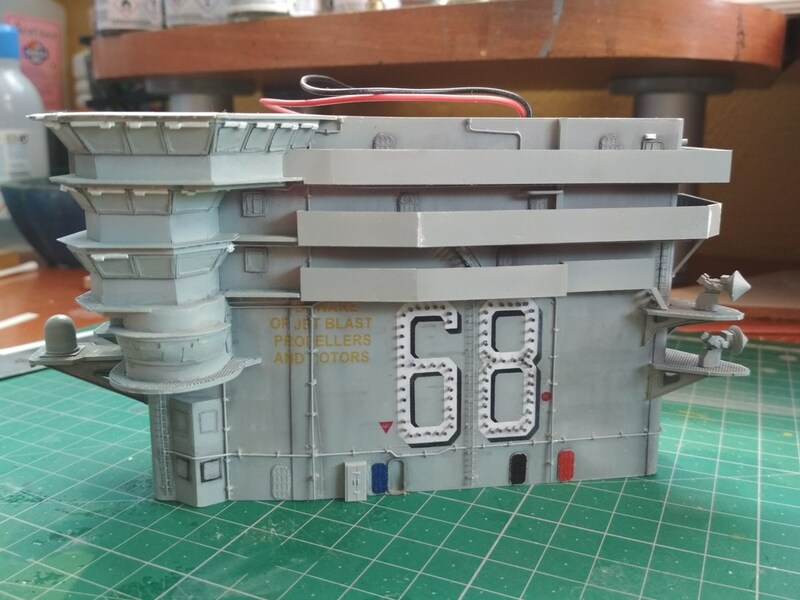 But whats happening on your Nimitz build ? 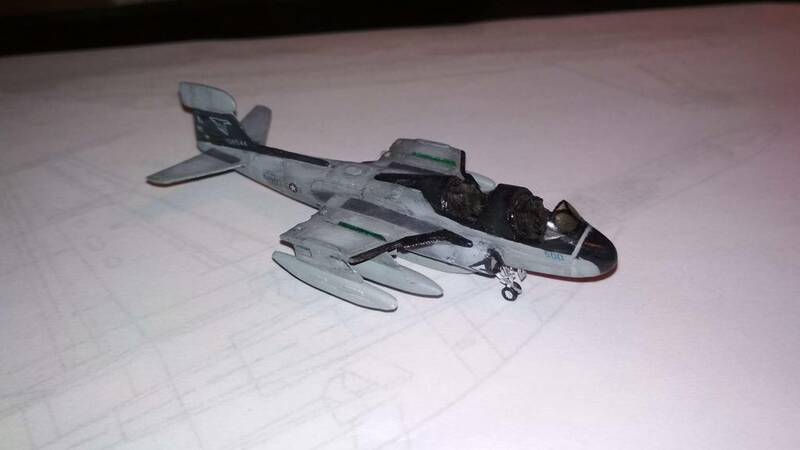 as I have looked right through your build an found it fantastic an hope to see it finished I have treid to post pictures of my NIMITZ build on here but I cannot master it yet although I hope to soon. An was it easy to post pictures through flickr ? Hi Chris. 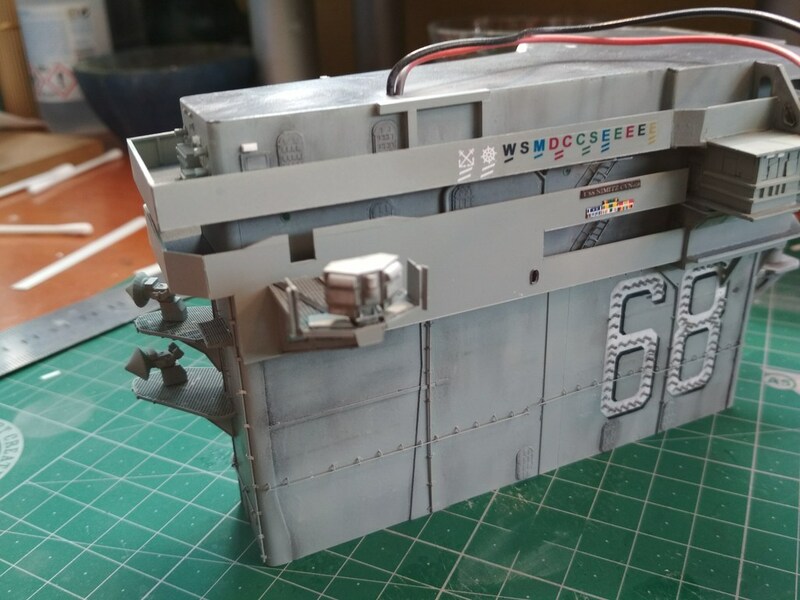 I have made little advances on my build but I have not posted the photos yet. I am very busy at work and I almost have no time for the carrier. I will try to post some photos this week. 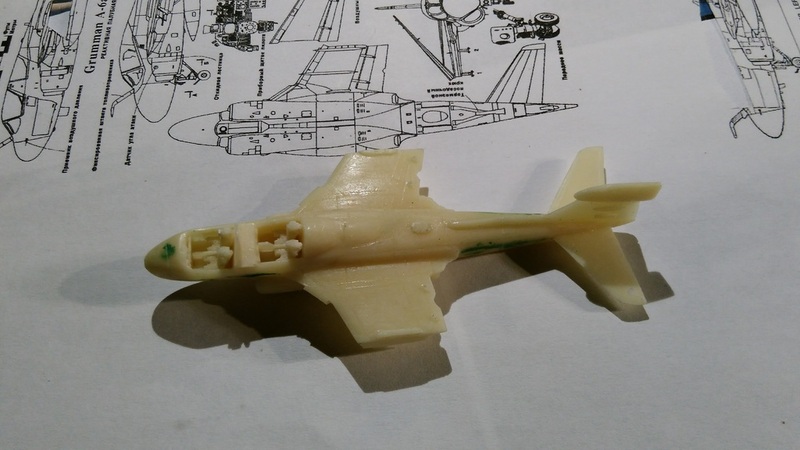 I am currently finishing the first EA-6B model and making the first stages of the F-18E. 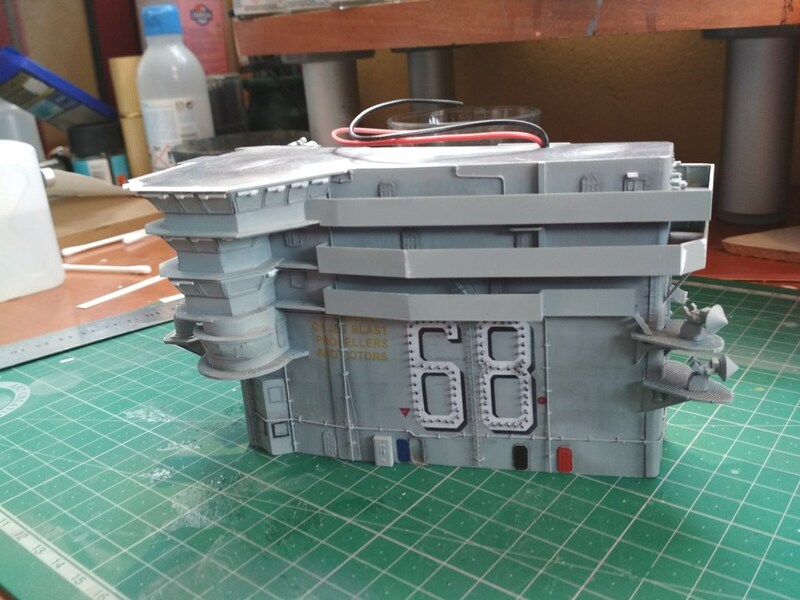 I will jump soon to the hangar deck in order to finish it before place the deck. 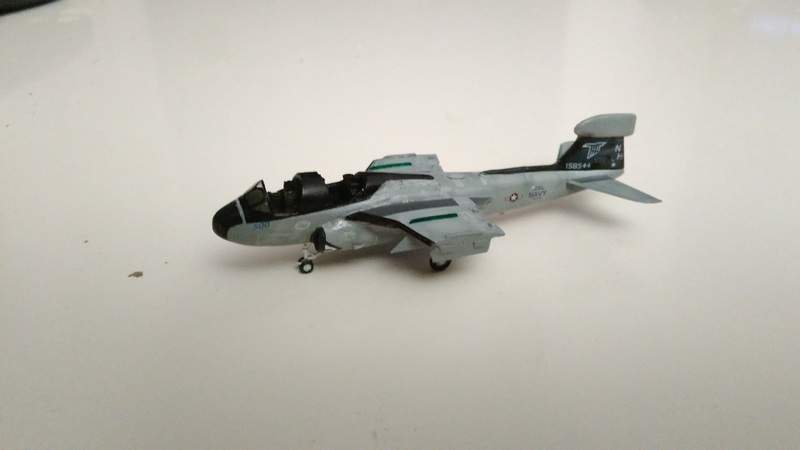 HI again Jorge thank you for your answer on the build but could you tell me what I asked at the bottom of my last post about posting pictures on frickr an do you have to pay to post pictures ? 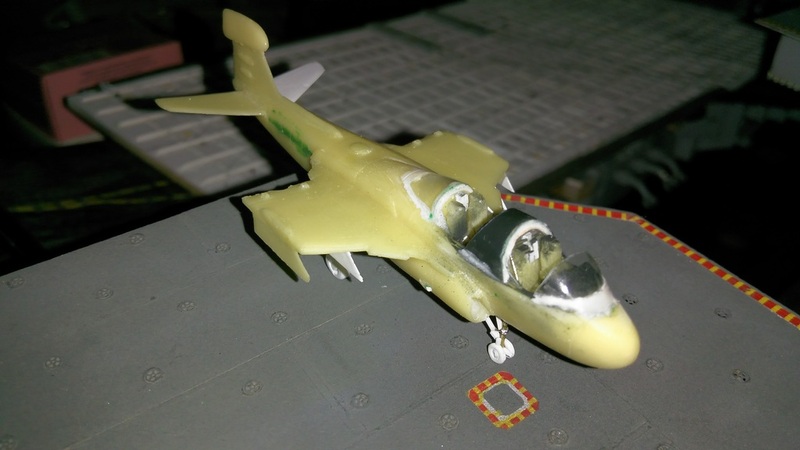 Are you asking about posing pictures on Flickr or on the Model Warships Forum? You do not have to pay to post pictures on the forum. 1. No larger than 1200 pixels wide or high. 2. No larger than 150 kilobytes. You can use the Windows paint program (mspaint.exe) to resize pictures. It is a part of the Windows package. Hi, Chris. You have to pay nothing for upload photos to Imageshack. You can upload unlimited photos without restrictions except for the laws in every country. Well mates, I am back again and here are some photos of the island with decals. 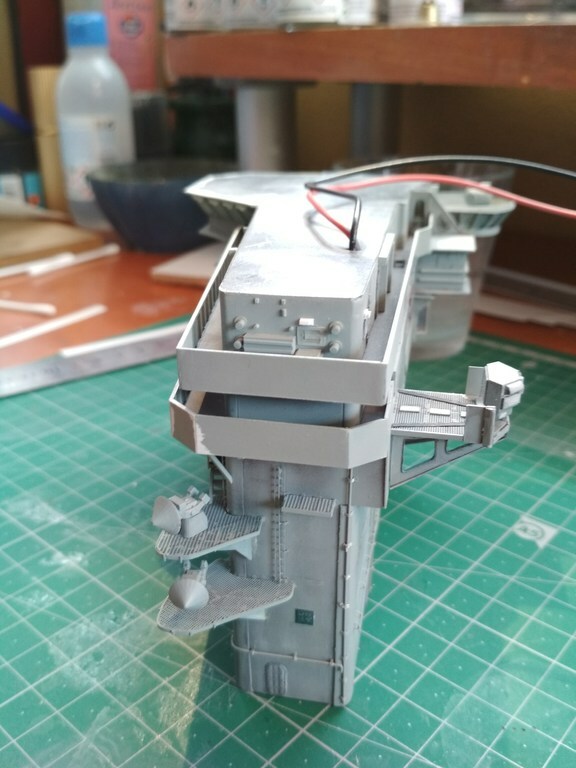 Main mast has to be fitted and also several details. It's real bridge not a model. Show me model pls! Thank Song. Your works are amazing. Thank you for your very kind comments. 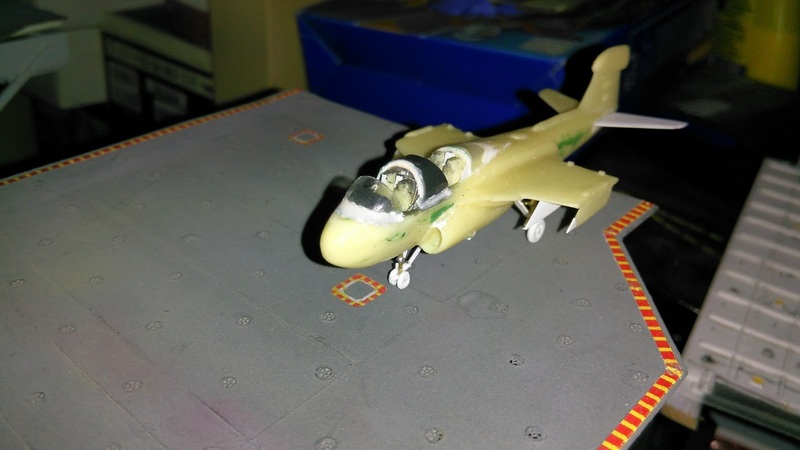 At 1/200 I have no space to make my radars come to life without loosing accuracy. I have put lights where I consider that there was no compromise with accuracy. 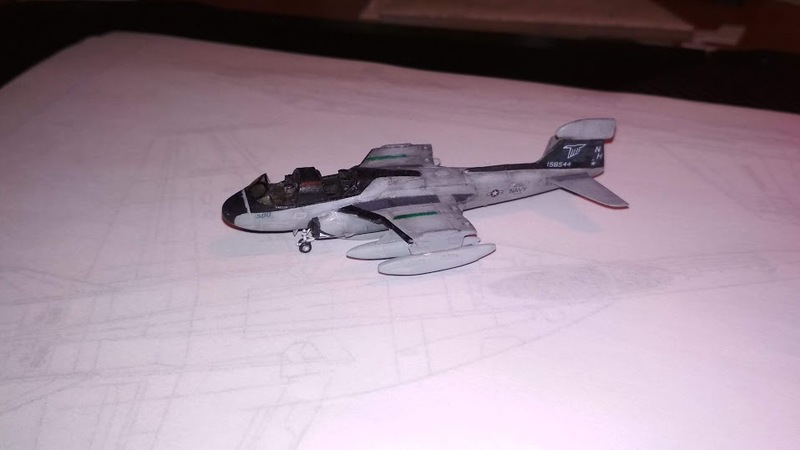 The first EA-6B Prowler is almost finished. 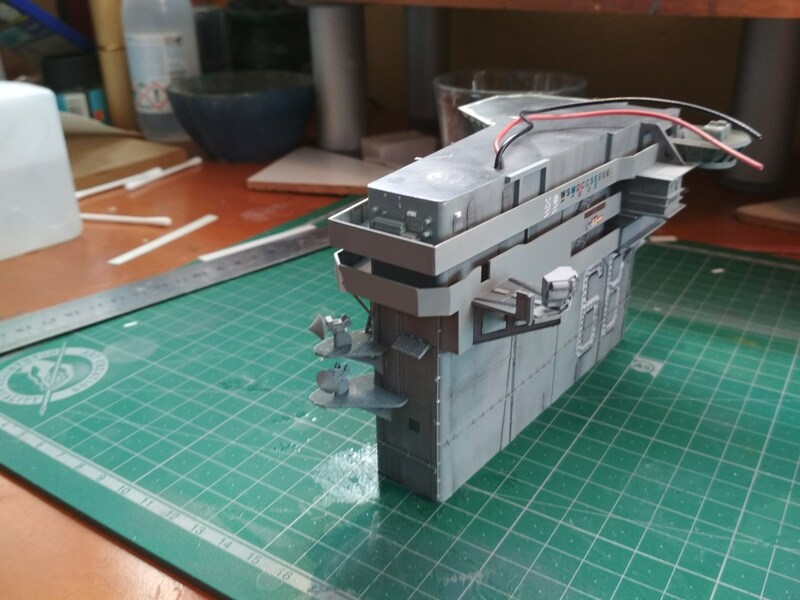 I have made four resin copies and I only have to add the folded wings, refuelling probe and canopies. I hope you like the advances. HI whats happening on this build ? It is on the way but very slowly due to a lot of work in my job. I hope I can upload new images soon. 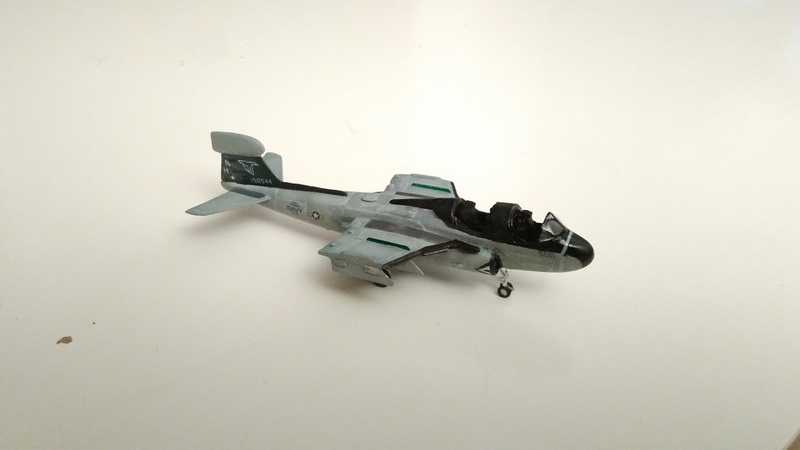 I am currently working in F-18 Super Hornets.